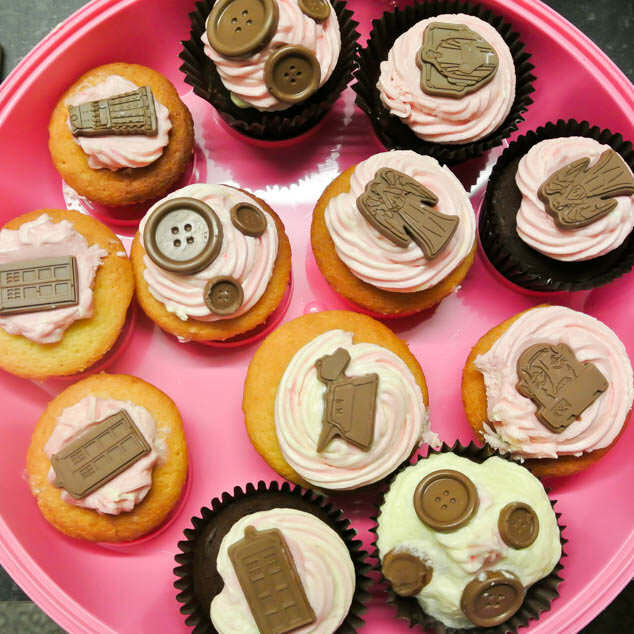 Here is a less beauty and more lifestyle focused post as this weekend Mum and I had a bit of a bake off and made so many cupcakes for a local charity bun sale. We both help run a local Rainbow Guide Unit which had a stall yesterday selling buns to raise money for The Little Sisters of the Poor. The Little Sisters of the Poor are a local charity who care for the elderly and the Guides were helping with their fundraising. We sold so many buns and managed to raise an amazing £1,200 which was a bit mad/incredible from a bun sale. 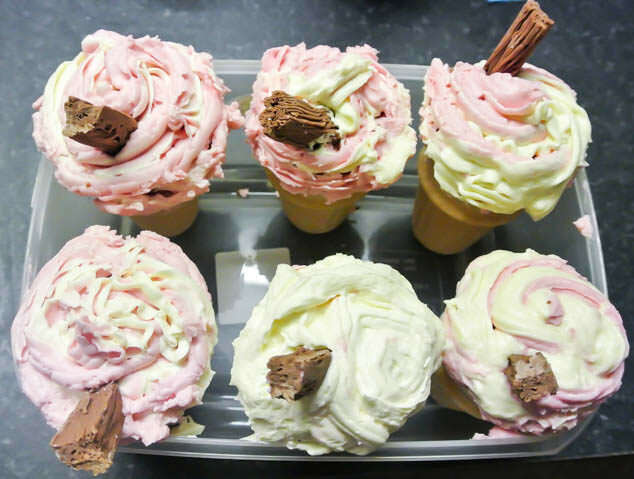 Mum and I made a few hundred cupcakes but some of the favourite that we made were the ice cream cone cup cakes. We’ve seen people make them before but never had a go and I’m glad we did as they sold out so quickly. They were simple enough to make, baking a cupcake normally and then removing the bun case, placing it in the wafer and piping over the top. 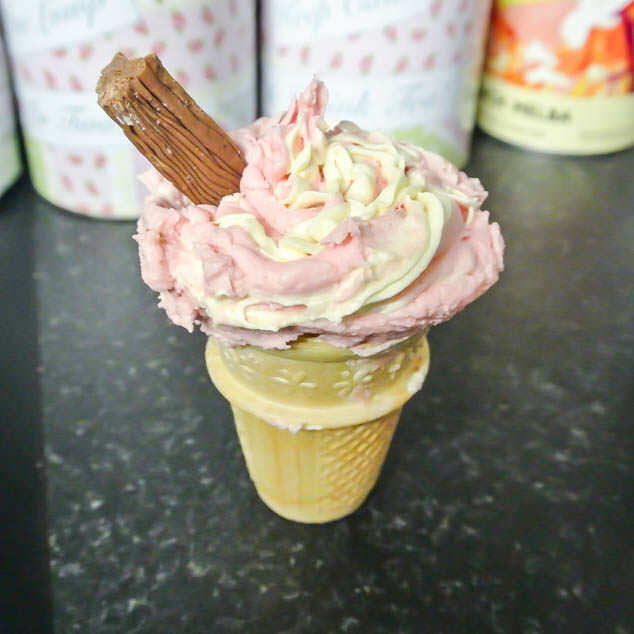 We used dual icing bags to give a two toned icing swirl to make it look more like ice cream and then added a small flake. The only issue with them is that they are very top heavy and fell over easily, in future I may add cupcake in the base to make them more stable. My other favourite decorations that we did were using moulds to create chocolate decorations. 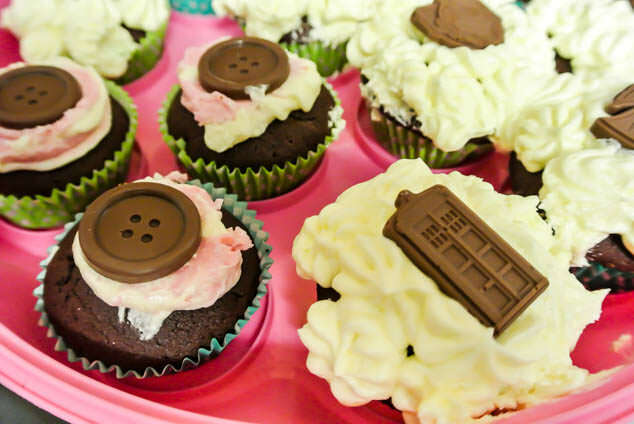 We did different sized moulded chocolate buttons which went down well with Mum’s buying cupcakes and on the others added Dr Who chocolate shapes. 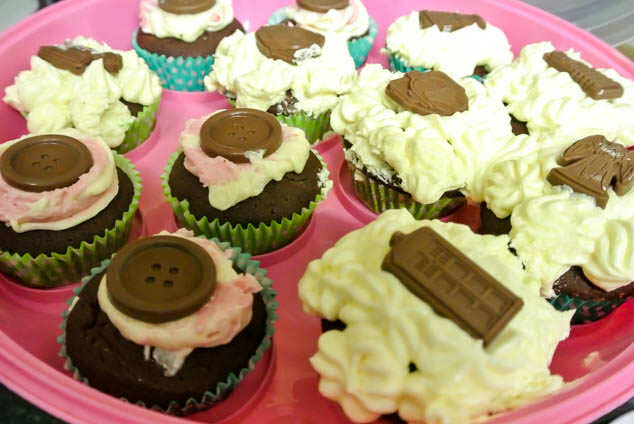 These were really easy to do and make the cupcakes look really unique. We melted the chocolate, poured it in the moulds then put it in the freezer on a plate. After 5 minutes the chocolates pop out of the moulds with no issue. 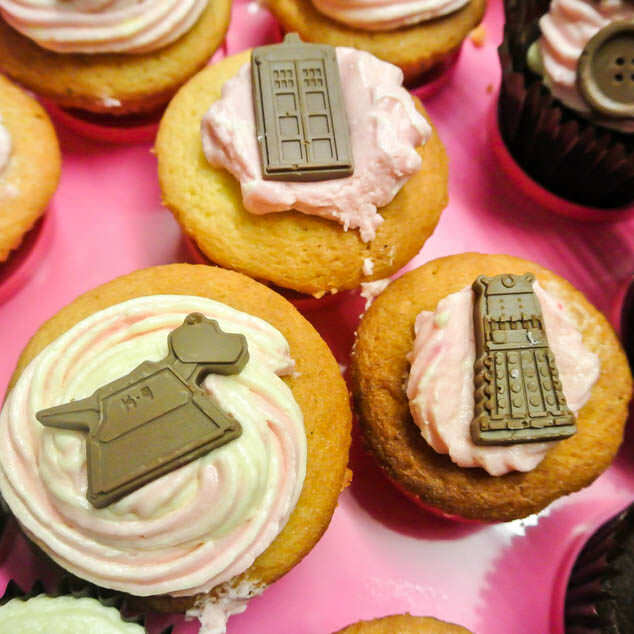 I’ve tried to share the items I used at the lowest price, Lakeland currently have the Tardis Chocolate Mould on offer and are £12 cheaper than those sold on Ebay at the moment. 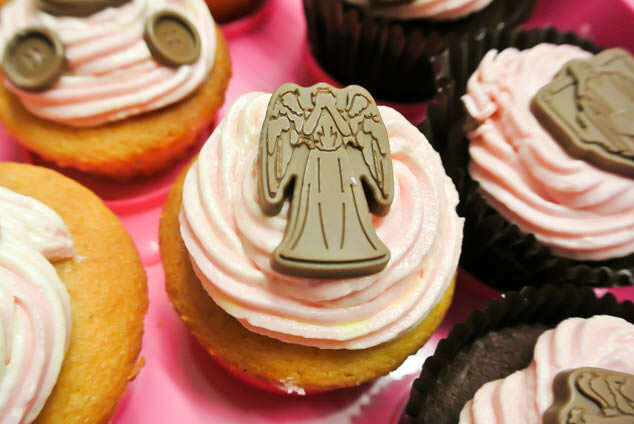 These are the Dual Piping Icing Bags I bought and used and are great if you are into decorating cupcakes and here is a link to the cheapest Buttons Chocolate Mould I could find online.